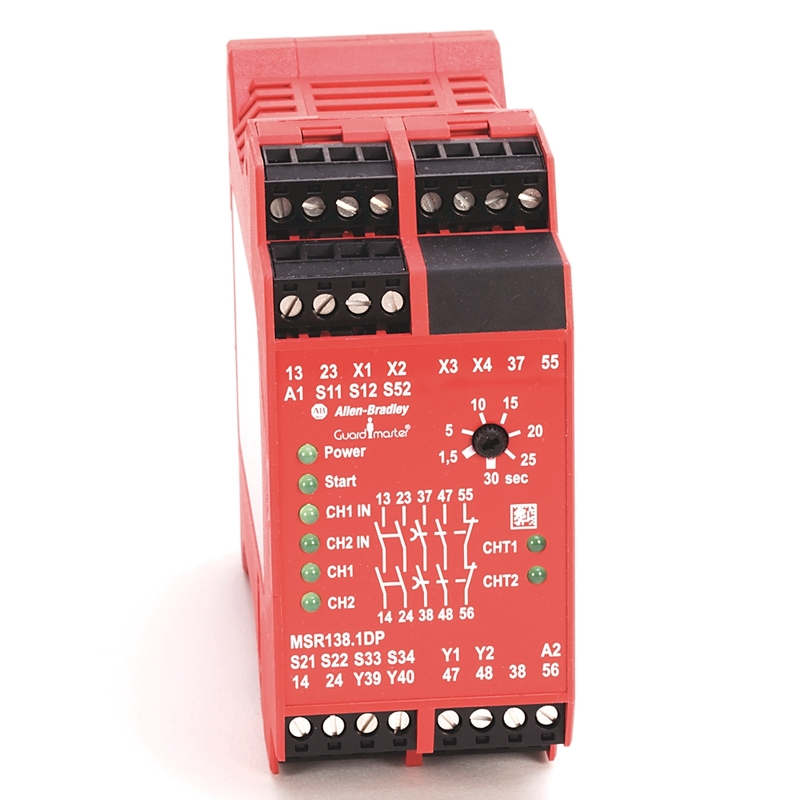 Safety Relays are devices that implement safety functions. 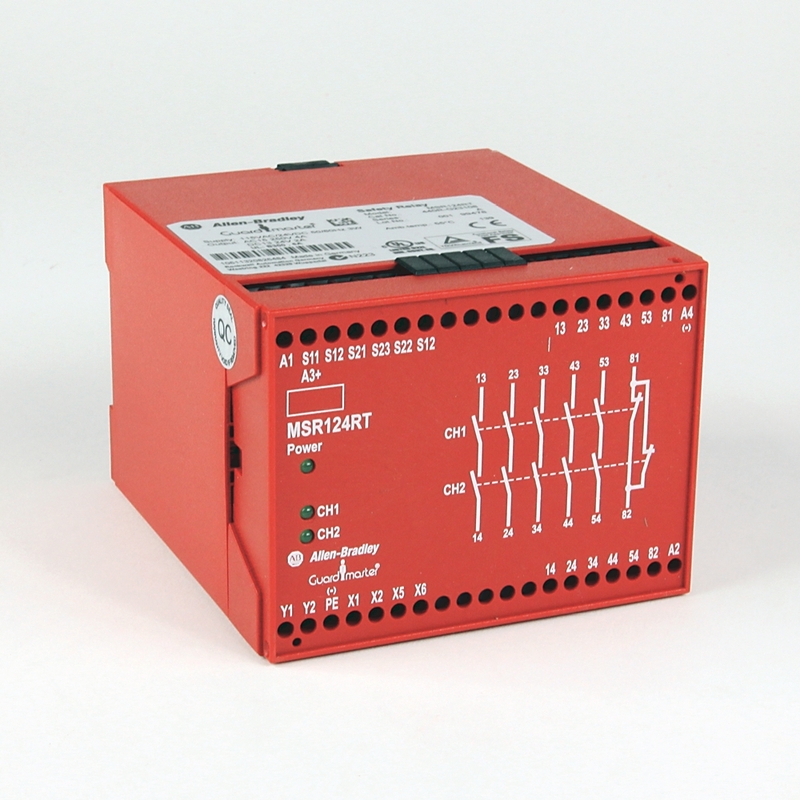 In the event of a hazard, a safety relay will work to reduce to risk to an acceptable level. 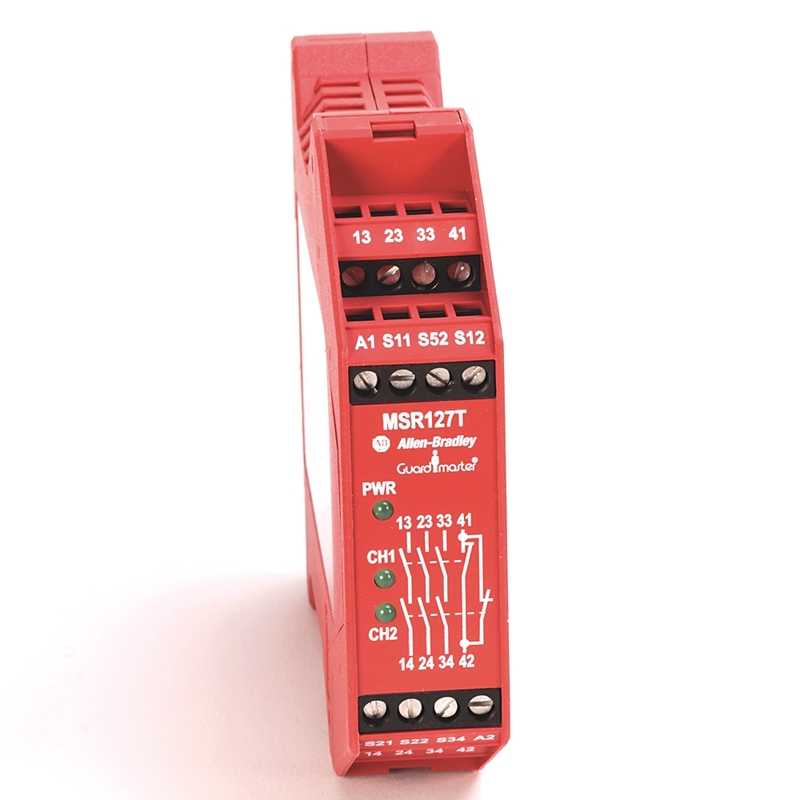 Each safety relay monitors a specific function. 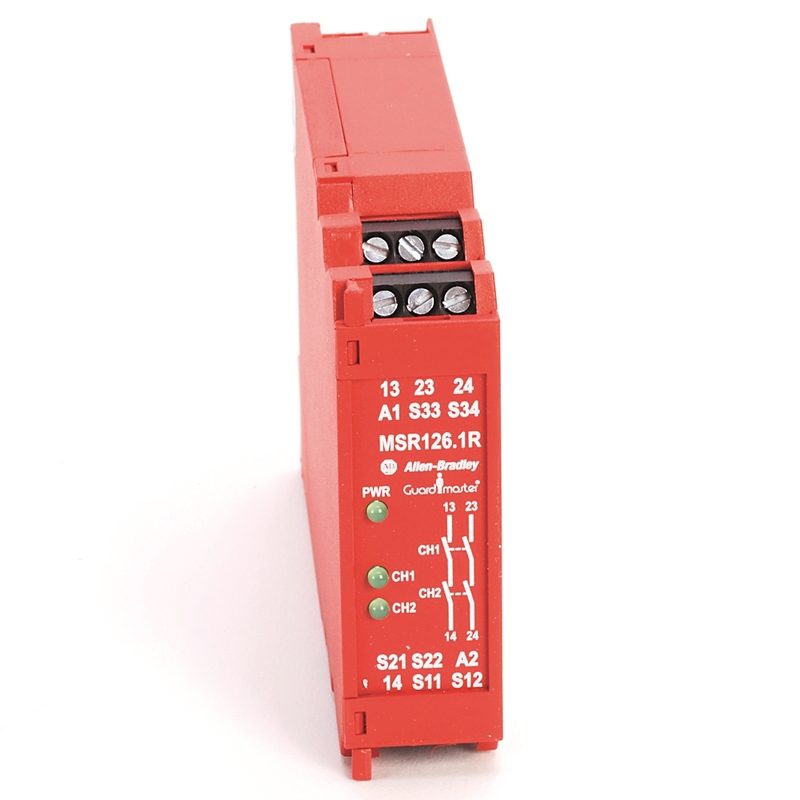 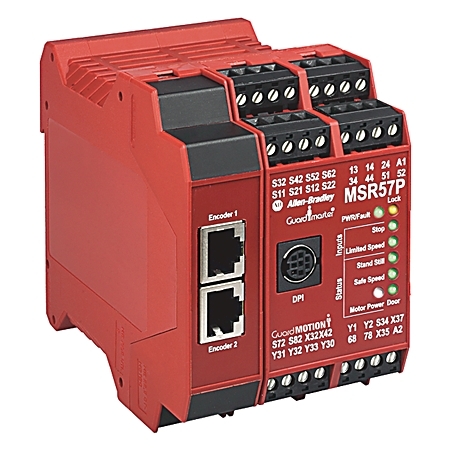 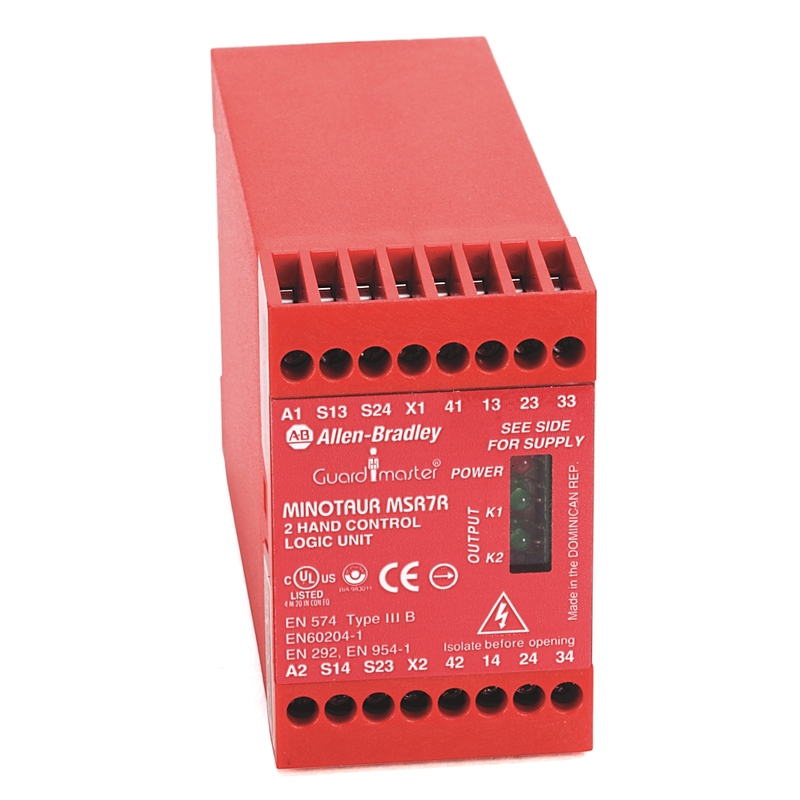 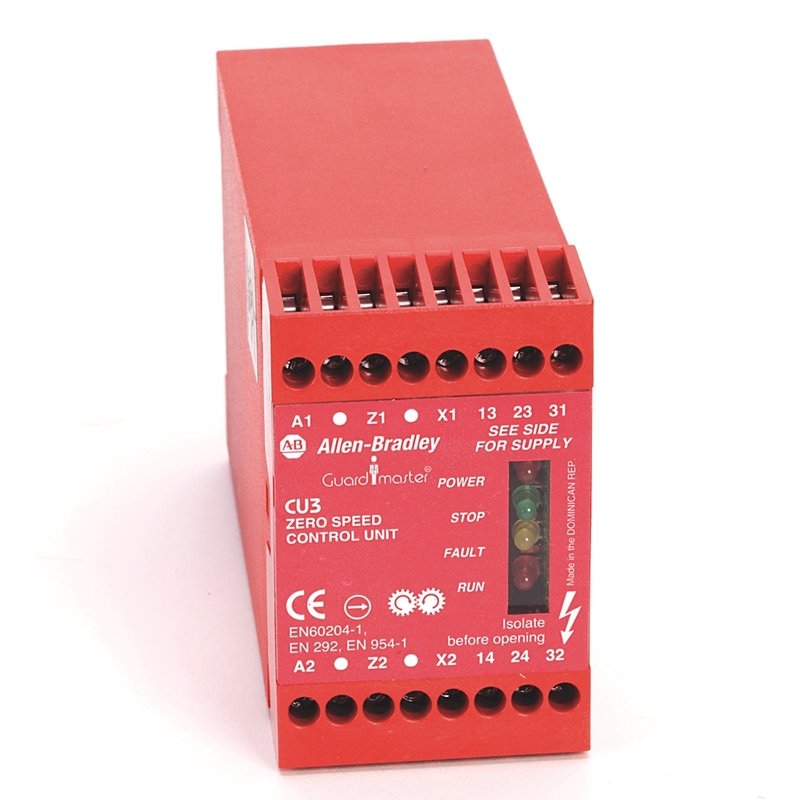 By connecting them to other safety relays, one can achieve total monitoring of a machine or plant.